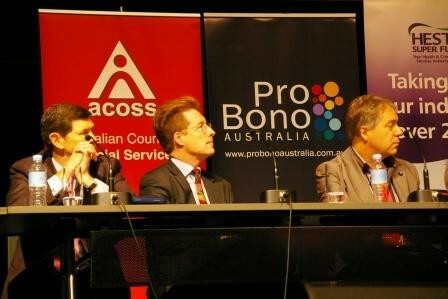 The Australian Not for Profit sector needs to develop a stronger voice to advocate on behalf of itself, invest more in training leaders from within its ranks and lead the way in employing disabled people, the Assistant Treasurer Bill Shorten has told the 2011 ACOSS National Conference. The Minister for Financial Services and Superannuation, Bill Shorten says the Not for Profit sector is hugely important, its economic significant is immense and growing strongly, and it employs 8 out of every 100 people, yet it does not have the voice it requires. 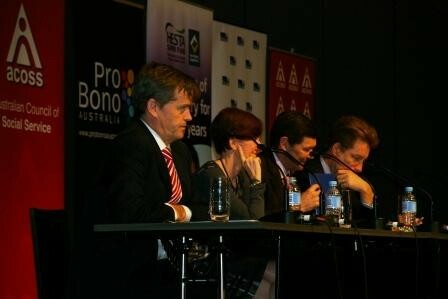 Addressing a plenary session on Not for Profit sector reform alongside Shadow Minister for Families, Housing and Human Services Kevin Andrews, Greens Senator Rachel Siewert and Executive Director of Catholic Social Services Frank Quinlan, Shorten detailed the reform progress made so far by the Gillard Government, but went on to say that the sector needs to look at the way it advocates on behalf of itself. Shorten says if the sector has been in such trouble for so long, and the issues it is struggling to address are largely the fault of the government, then the sector needs to look at the way it is advocating for itself. 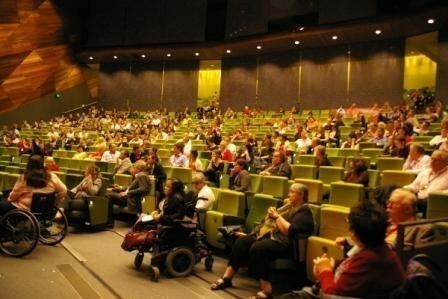 Senator Rachel Siewert agreed with this, saying that the sector needs to walk the halls of Parliament and put pressure on politicians, however this is difficult when the sector is busy running their essential services and advocating on behalf of disadvantaged Australians. Adding his voice to the call for the sector to develop a stronger voice in Canberra, Kevin Andrews says for once he agrees with Senator Siewert, drawing applause from the audience. Executive Director of Catholic Social Services ,Frank Quinlan questioned why the sector doesn't have a strong voice like the Business Council of Australia. He says the NFP sector is larger than the retail sector, and far more important, yet it is not able to negotiate with the strength of voice needed to ensure the required outcomes. Bill Shorten says speaking from his own personal view based on 14 years experience in the union movement, there are some things the NFP sector can fix without waiting for Government action. Shorten says the sector is able to examine its own HR practices, and make important reforms. He says there is a challenge for organisations working within the NFP sector to be the best employers they can – to lead the way by employing more disabled people and to invest in and train the leaders of the future from within their own ranks. In response to Shorten's comments, an audience member said it is hard to invest in leadership or training when Not for Profit organisations on Government contracts are unable to provide job security for their staff. He said many NFP staff are unsure of whether they will have a job come July 1st, making it extremely difficult for organisations to invest in the leadership potential of staff who are actively looking for other jobs. Greens Senator Rachel Siewert says advocacy on behalf of causes is a fundamentally essential part of the work the NFP sector does. She says the NFP sector is a leader of policy decision making, and without the sector being at the cutting edge the changes needed for the community will not be achieved. Siewert says there has been a move to exclude advocacy from the role of NFPs, and this need to be changed. Shorten says one option Government can look at is to codify what it means to be a charity, removing the definition from the ATO and enabling the Government to create a codified definition of charity that reflect the role of charities in modern society. The impetus behind such a move would be to develop a definition of charity that included advocacy. Shorten says advocacy is a crucial part of the sector, and saying no to advocacy is saying that NFPs must address society's problems, but can't look at the root causes of these problems. Shorten says these hard questions are not easy to answer – what is advocacy to one person is innappropriate action to another. He says reform in this area would be expensive, extending the breadth of the definition will come at a revenue cost, however he is confident that reform can happen in partnership with the sector. Shorten says the proposal by the Government to locate a one-stop-shop regulator within the ATO has been met with strong concern from the sector about the independence of such a regulator and the ATO's focus on protecting the tax base. Shorten says locating the regulator within the ATO would be cost effective for the Government compared to creating a fully independent regulator, but that the solution would likely be somewhere between these two. He says national regulator is going to require the cooperation of state and territories, as most NFPs have no interest in operating outside their immediate area. In his address, Frank Quinlan, the Director of Catholic Social Services Australia lamented the state of government contracts, which allow for very little forward planning and job security for the Not for Profit sector. He says most NFPs do not know what level of funding they will have come July 1st, yet they are expected to commence delivery crucial services on that date. Quinlan says Government fundamentally does not pay its way – they talk about supporting the sector, but do not pay their way for the services they expect the sector to deliver.